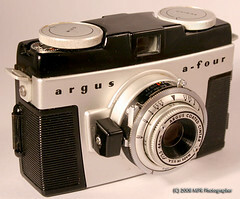 Argus Inc. was a camera maker based in Ann Arbor, Michigan, USA. The company sold nearly three million of its best-known model, the Argus C3—fondly (and accurately) known as "the brick." shop, across 4th Street from factory. Before 1939, Argus was International Research Corporation, having evolved from International Radio Corporation, an innovative maker of bakelite radio sets. President Charles Verschoor saw a business opportunity to branch out into a bakelite 35mm camera as well. 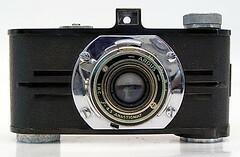 The first Argus, the Argus A, resulted from a patent that the company received in 1936, and its surprisingly affordable cost made it a great success. Thus it was this American company that brought 35mm film in Kodak's 135 cassette format to a mass market that could not afford costly Leica, Zeiss Contax or German Kodak Retina cameras. Despite the success of the Argus A, company stockholders were unhappy with Verschoor's management, and ousted him from the company in 1938. But that year also saw the release of the Argus C and Argus C2, the first of the "bricks"—enormous successes which stayed in production for nearly three more decades. 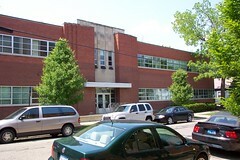 By the 1950s, Argus had become a significant force in Ann Arbor's economy. Several buildings from its heyday still stand. 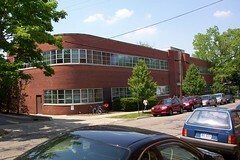 Two are now used by the University of Michigan; but the main original factory is now remodeled as office space, and owned by "C3 Partners." This building includes a public area in an upstairs lobby, where a permanent exhibition of Argus cameras is shown, The Argus Museum. In 1957 Argus was purchased by Sylvania Electric Products Co., who believed there would be a synergy with that firm's flashbulb sales. A new South Carolina factory was opened to handle strong slide projector sales. 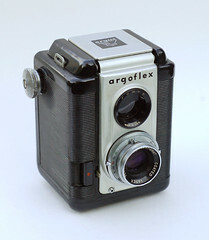 However by the late 1950s, Argus was struggling to compete against new Japanese camera imports, which offered better features at a lower price point. 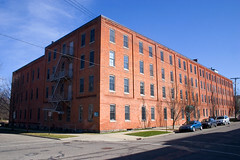 In 1959 Sylvania was acquired by GTE; and in 1962 Argus's new corporate owners essentially dumped the company onto Mansfield Industries—a Chicago photographic distributor and a much smaller company. 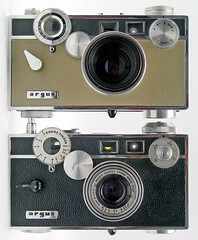 In the 1960s, most Argus products became foreign imports (several from Mamiya), rebranded with the Argus name. While optics contracts kept some Ann Arbor workers busy, by 1963 camera production had stopped there (a trickle of camera models were made in South Carolina through the mid-1960s). Starting in 1967 Argus's corporate ownership turned over several more times, with the brand popping up in various guises. But the era of US-designed and -manufactured cameras had ended. ↑ "The Story of the Schwaben Halle", from the Ann Arbor Observer column "Then And Now," Dec. 2002, archived at Ann Arbor District Library. The Swabian region of Germany was home to Dacora Kamerawerk, founded in Reutlingen south of Stuttgart. When was my Argus camera made? DESCHIN, Jacob. Picture making with the Argus C3, C4, A4: A working manual. Camera Craft Pub. Co., San Francisco, 1954. Library of Congress 54012589. 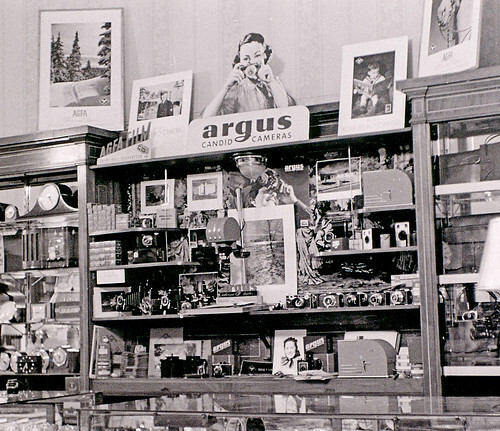 GAMBINO, Henry J. Argomania: A look at Argus cameras and the company that made them. 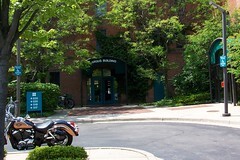 Aeone Communications, Doylestown (Pennsylvania), 2005. ISBN 0-9770507-0-X. KUZYK, Hrad. 35mm for the proletariat: A modern user's guide to the Argus A/A2 camera. Hrad Kuzyk, 2007. ISBN 0615144888. LAHUE, Kalton C. and BAILEY, Joseph A. 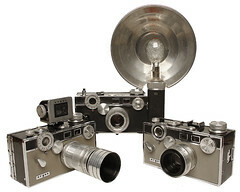 Collecting vintage cameras, vol. 1: The American 35mm. American Photographic Book Publishing Company, New York, 1972. ISBN 081740547X. LAHUE, Kalton C. and BAILEY, Joseph. Glass, brass, & chrome. University of Oklahoma Press, Oklahoma, 1972. ISBN 0-8061-0968-8. 2002: ISBN 0-8061-3434-8. MURPHY, Burt. Argus 35mm photography. Verlan Books, New York, 1959. Library of Congress 59015881. TYDINGS, Kenneth. The Argus 35mm guide and reference book. Greenburg, New York, 1952. Library of Congress 52008125.